It's prehistoric mayhem with all new cards, including the new Evolve mechanic! Colossal Fossils brings 50 powerful, new Evolution-themed cards in a new pack! Huge-Gigantacus has smashed Meteor Z deep into Earth's core, closely pursued by Beta-Carrotina and her crew. There they discover a hidden jungle paradise: 'Hollow Earth!' 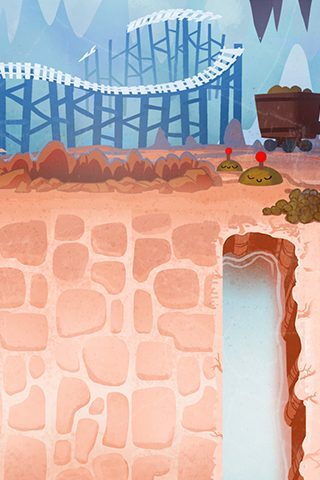 In this land of giant roaring dinosaurs, ancient Plants and Zombies have evolved in a savage new direction. Go to the store to buy Colossal Fossils packs now! In Colossal Fossils, you'll find 15 different 'Evolution' cards, like Gloom-Shroom and Jurassic Fossilhead. You can play one in an empty lane as normal, or play it on top of a card already in play, 'evolving' it into a fierce new form with a special Evolution effect! You'll also find Legendary Dinosaur Plants like Tricarrotops and Dinosaur-riding Zombies like Tankylosaurus. Each unleashes a mighty 'Dino-Roar' ability whenever you draw a card, including when you Conjure a card or put a Super-Block in your hand. Use special abilities to draw extra cards and roar your way to the top! 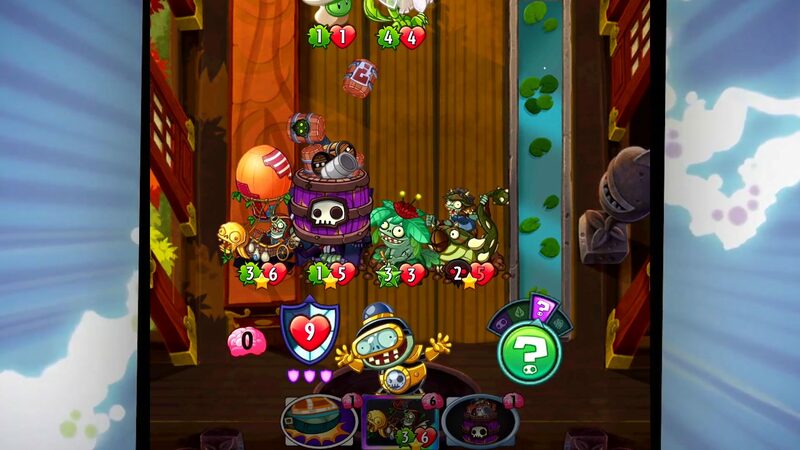 Untrickable Plants and Zombies can't be affected by your opponents' Tricks at all. But you can still power them up with your own Tricks! Cryo-Brain is now Gourmet Science and works with Interdimensional Zombie. Toxic Waste Imp now makes Imp Tricks like Cakesplosion Deadly (plus Z-Mech's superpower Missile Madness will destroy every Plant on the board if you are able to Conjure it together with Toxic Waste Imp somehow). Zom-Bats from Immorticia's superpower are now Amphibious. After all, they can fly! Starts with multiple Clique Peas were too fast and overpowering. Drawing multiple Clique Peas is still very powerful, just slightly slower. Clique Peas' Recycle value is raised to 2000 to match its Crafting cost for about a month. Venus Flytraplanet now needs Plants to survive combat there in order to cause healing. Venus Flytraplanet's Recycle value is raised to 50 to match its Crafting cost for about a month. It has been too frustrating and difficult for Zombies to interact with the constant stream of healing from Venus Flytraplanet. Now it is more interactive, since a powerful Zombie there can take down the Plant to prevent the healing. Magnifying Grass now costs less Sun: 3-cost (was 4-cost). New update comes with 100 new cards, new environments, new abilities, and more as the new season begins!